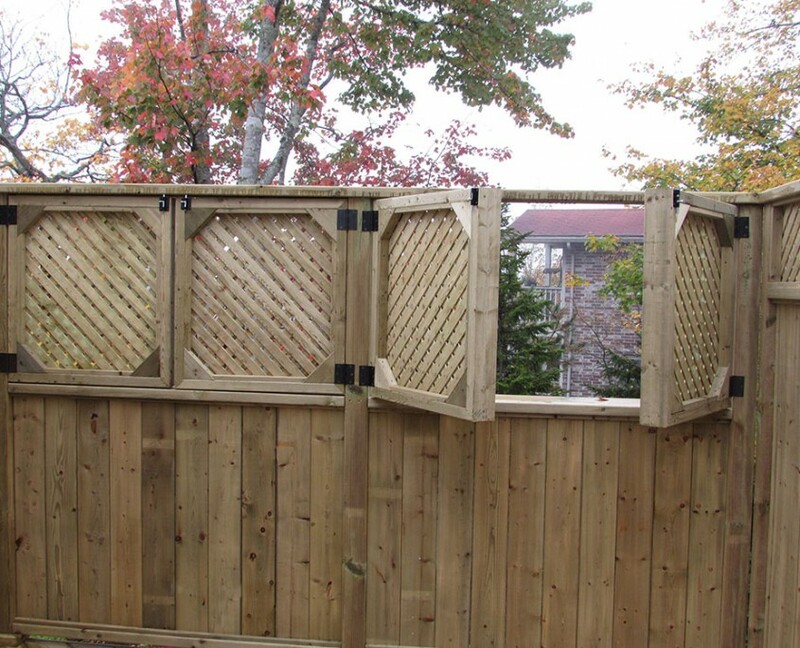 Nestled away in a cul-de-sac in Halifax, this homeowner had a green thumb and needed a place to store all of their gardening tools. 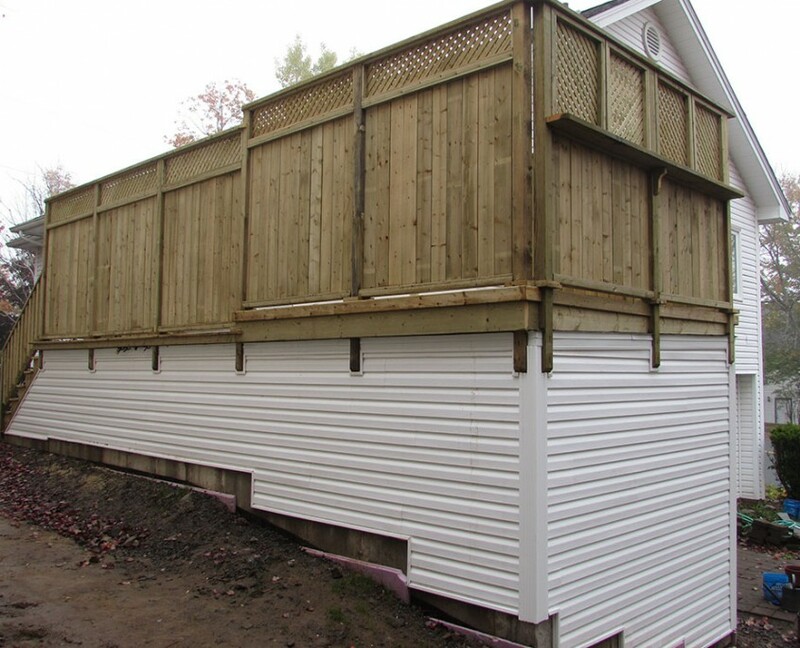 This outdoor living space was designed with a concrete retaining wall, and using a pressure treated sleeper deck it provides the use of underneath to be fully functional and allow access to the side door. 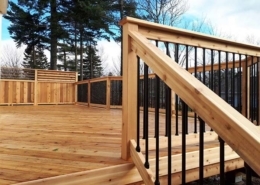 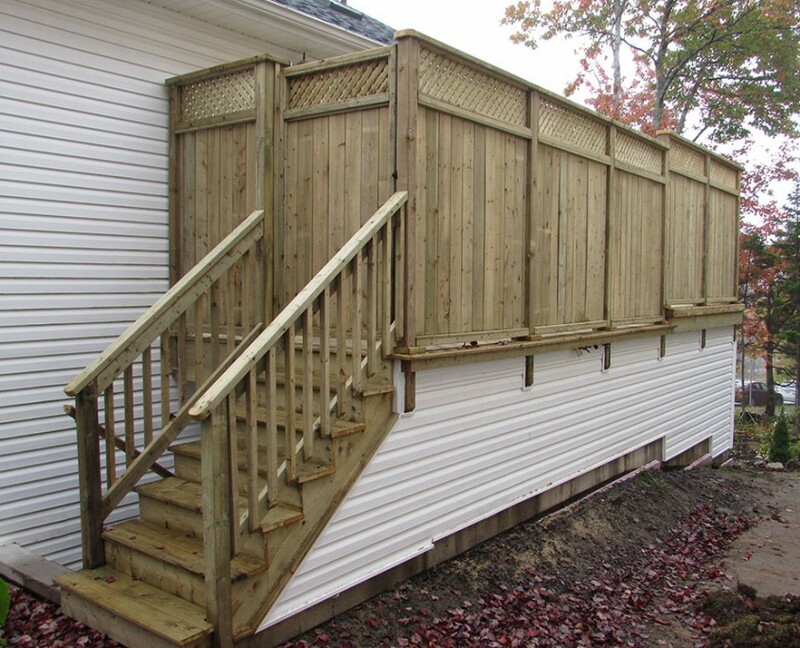 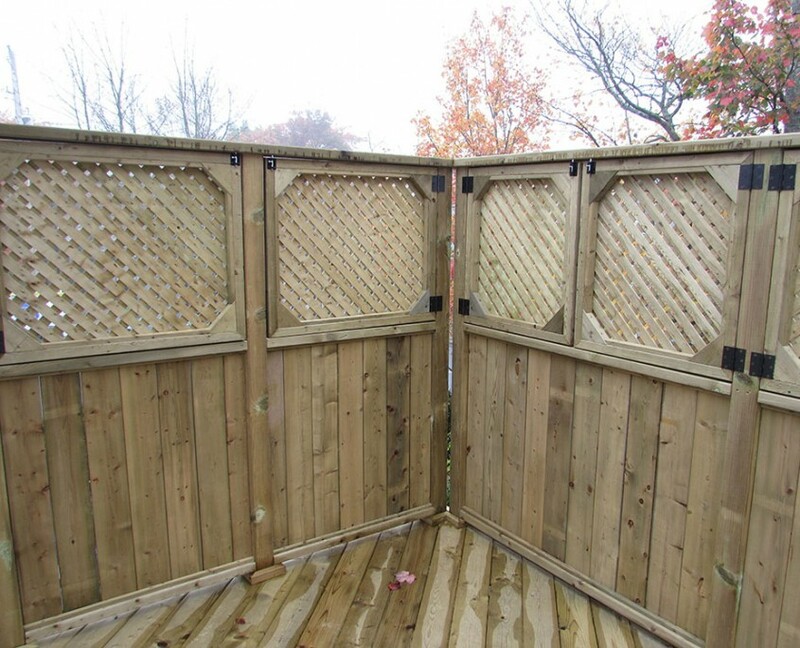 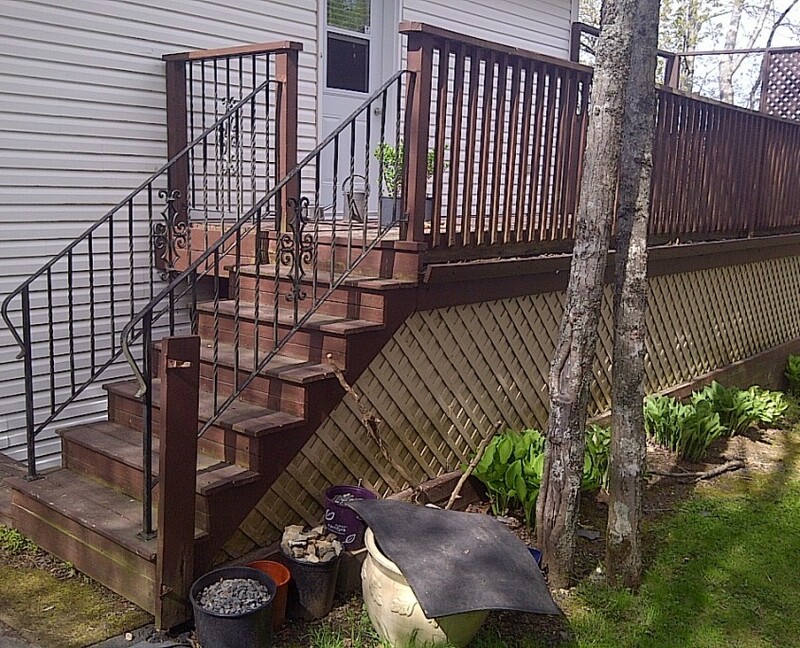 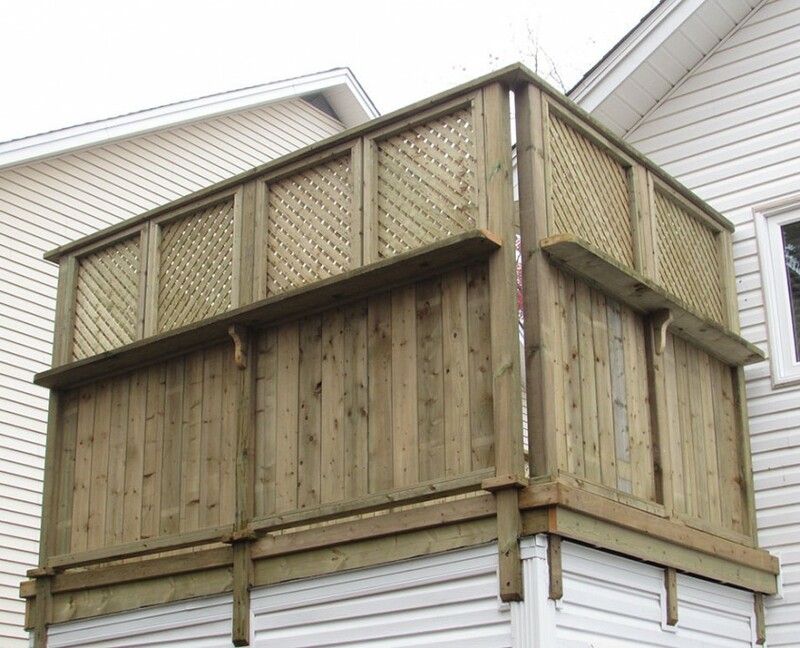 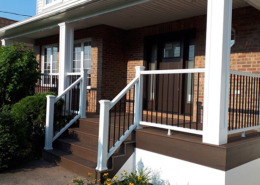 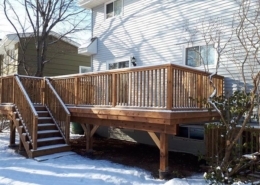 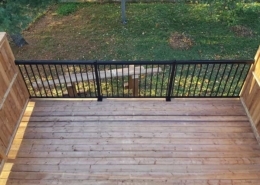 This deck was designed with two steel entrance doors, privacy rail and privacy lattice on hinged hardware to swing open and let the sun shine through.